My crazy life where frugality and earthy crunchiness collide. My Followers are the Greatest! I just love them! This is the last week for regularly scheduled Alphabe-thursdays classes. Can you believe it took me all week to think this up?? Yes I am a little concerned about myself too. Zucchini is the ultimate in summer foods. It brings to mind abundance and plenty and deliciousness. Zucchini is a very versatile and frugal veggie - you can bake, boil, broil, saute', bread it and eat it raw. It is great in a stir-fry and is unbelievable in meatloaf. I always keep some shredded in the freezer. I am going to share my mom's recipe and then some links to great zucchini recipes. Heat butter in large skillet add onion and begin to cook, when soft add zucchini and one cup of water from pan and tomatoes. Salt and pepper to taste - you can always add more at the end. Turn heat down to simmer and let cook for at least a half an hour. Another way to eat your zucchini that my family loves. The Gluten Free Homemaker is sharing Garlic Lime Zucchini - fresh and different. Organic and Thrifty shows us how to make Zucchini noodles and a Meat Sauce. Ashlie and Alfred share zucchini bread recipe and one for "zucchini bread oatmeal". This is just a short list - there are million ways to prepare Zucchini - don't turn down any that are gifted to you. So please share how you enjoy Zucchini! Don't forget to come back on Tuesday and link up to Two For Tuesdays Blog Hop! You're right...zucchini is so versatile!! We picked 4 small-ish ones earlier in the week and used them in pasta, stir-fry, and breakfast tacos this week....YUM! I love zucchini! I never get enough from friends with gardens,(honestly!) so this year when we made raised beds we planted some of that Z vegetable. I'll be grilling it, making it into cake and stewing it. Yummy! yummy and smart z post. Love all these zucchini recipes! It is extremely versatile! Thanks for including me. Zucchini in meatloaf? Darn, I've never thought of that! I can't wait until my garden delivers. Yes, zucchini in meatloaf. I just shred it and mix it in, it makes the loaf moister which is how we like it. Coconut Mama - what a great idea - I have used cauliflower but it never occurred to me to use zucchini. Can't wait to try it! Dear Muse - I am sure your beloved will make you some delicious food. I commented on your blog - but just wanted to say again how much I enjoyed my visit there. I adore zucchini, you're right about how versatile it is! I'm totally sad I didn't get to plant any this year, I share my veggie garden with a friend who doesn't like it and in the end there was no room because it's only a small plot! So many recipes, so much zucchini, so little time! oh how sad there was no room for the zucchini - I think it is in the rule book for gardens "#73 Must plant zucchini." LOL! Cheryl - you are so right - zucchini is the magical proliferating veggie! Your mom's recipe sounds delicous. Now I'm off to check out the other zucchini recipes. Yummm!!! We love zuccini! Thank you sooo much for sharing all these recipes! I need to get to the grocery store and pick some up! (Please stop by for a check out the CSN giveaway on my post). Have a wonderful week! My husband loves zucchini. I am going to have to check these recipes out. I often just oven roast it with onions, and tomatoes and eggplant and some olive oil. Yum. Thanks for sharing your wonderful recipes each week with us on Alphabe-Thursday! Your "Z" post was great as always Miss Christy. Your Mum's recipe sounds really delicious. And I like the idea of adding zucchini to a Shephard's pie! Great Idea. Thanks for linking up to Wholesome Whole Foods. I love zucchini! It works in just about any recipe that uses a vegetable, and it adds fiber and vitamins to many different foods. When I make spaghetti sauce, I like to put some grated or finely diced zucchini in with the onions at the very beginning so it gets all toasty and yummy and then that flavor spreads all through the sauce, along with some good texture. Zucchini Tofu is one of my favorite zucchini recipes. Soy-free people could try making it with cooked cubed chicken. Hello Chickens! Rooster or Hen? You Decide. My Iron Skillet Love Affair. Hey, grab me a cup! Cow's Tongue - Yes It's For Dinner! Grits and Smoothies - Breakfast of Champions! 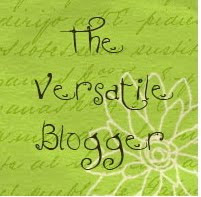 Blogs I love and I bet you will too!